I have an overly headphone-obsessed friend John who owns 6 pairs of headphones. “Each one is for different occasion”, says John. “This one is for workout, this one is for my laptop, I use this wireless one in my office, this one cancels noise, you know? And this one has better sound among all.” continues John. And it turns out that he’s not alone in doing so. Choosing right fitting headphones sometimes feel like choosing a life partner. That’s the why many of us have multiple pairs of headphones in their backpacks. Some headphones don’t have comparatively good sound but are good at noise cancellation. On the other hand, some are good in noise cancellation as well as in sound quality but never fit-in in our ears. That’s why companies give you multiple earbuds along with a headphone. However, for many of us, this doesn’t solve the problem. One pair of earbud we find too big while another becomes too small to fit into the canal. Isn’t it? And what happens when we have to borrow headphones from our friend or colleague? It’s quite obvious that the different canal sizes of our ears make our lives tough again in those circumstances. His headsets start a non-cooperation movement against your ears! Sony seems like realizing this pain of many of us, their patent filing indicates so. There is a new patent application published by the USPTO this Thursday which is filed by Sony. The patent discloses self-adapting headphones. These can change their size according to your ear canal or of whosoever using them. 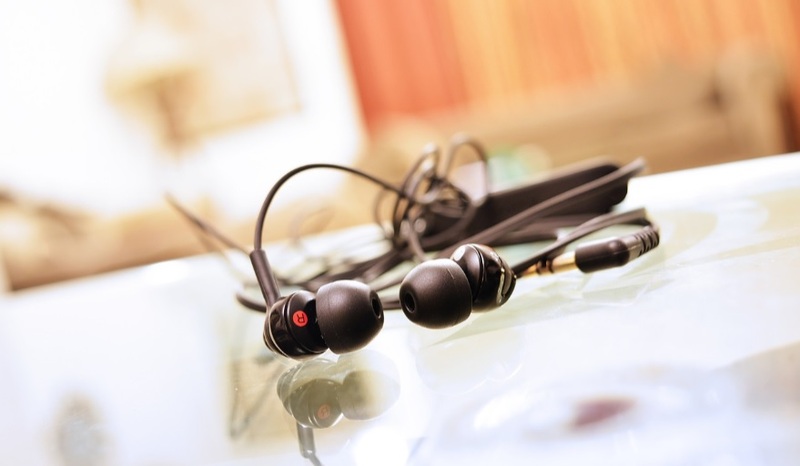 The patent mentions using a special electroactive polymer in its earbud. An electroactive polymer is one that can take any shape or size depending upon the electric charge. Thus, these earbuds are sensitive to the electric charge. They change their size just on the push of a button to fit precisely in your ears. Cool, isn’t it? Also, the patent discloses that these headphones could sense the environment you are in. For example, if you’re sitting a subway, the headphones will change their shape so that outside noise could be canceled. This is something my friend John always wanted. Headphones that always fit-in, never pops out and give you the best sound quality while canceling outside noise. No more worries John! Sony got you covered.